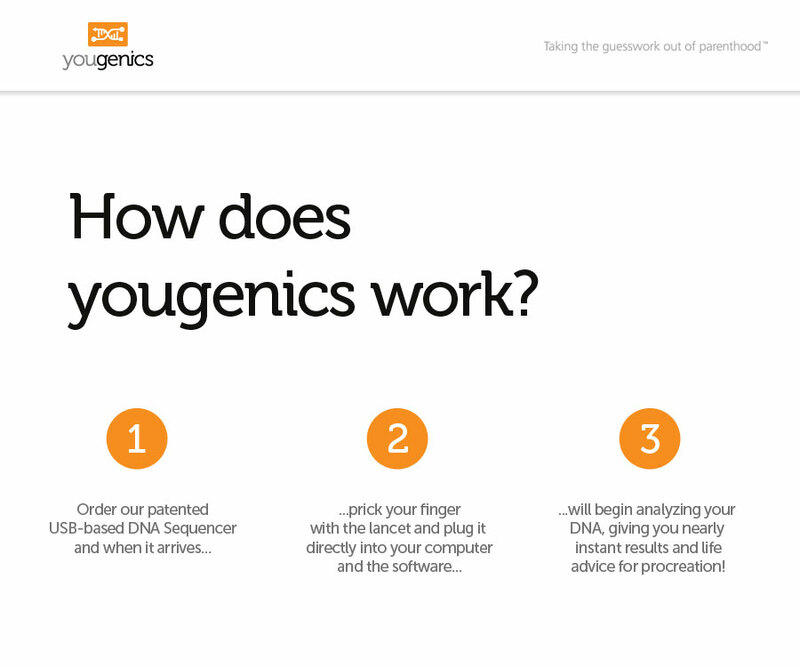 A very satirical project between a friend and I - Yougenics is a genetics research company specializing in consumer products designed to limit procreation by using a patented DNA-USB analyzer to predict likelihood of genetic abnormalities and general “DNA riff-raff” as it were. It was a comedic perspective into the twisted beginnings of the actual “Eugenics Movement” which aimed to kill off certain groups of people deemed “inferior” by encouraging breeding amongst certain groups and of course, discouraging it amongst others. The problem here is that it relies on pseudoscience, and at the time, a very, very childish understanding of genetics. I think creating projects like this in a realistic aesthetic helps shed the light on interesting human perversions and thus can be cathartic in some way. If it wasn’t already clear, I am against the idea of eugenics, but I think it’s important to reflect on this issue through the lens of psychology. The concept informed the design so well, it basically designed itself. USB symbol is very recognizable, as is the DNA symbol. Combining the two seemed like the most appropriate design choice. The logo and icon, with horizontal and vertical orientation. A UI screen explaining the process. 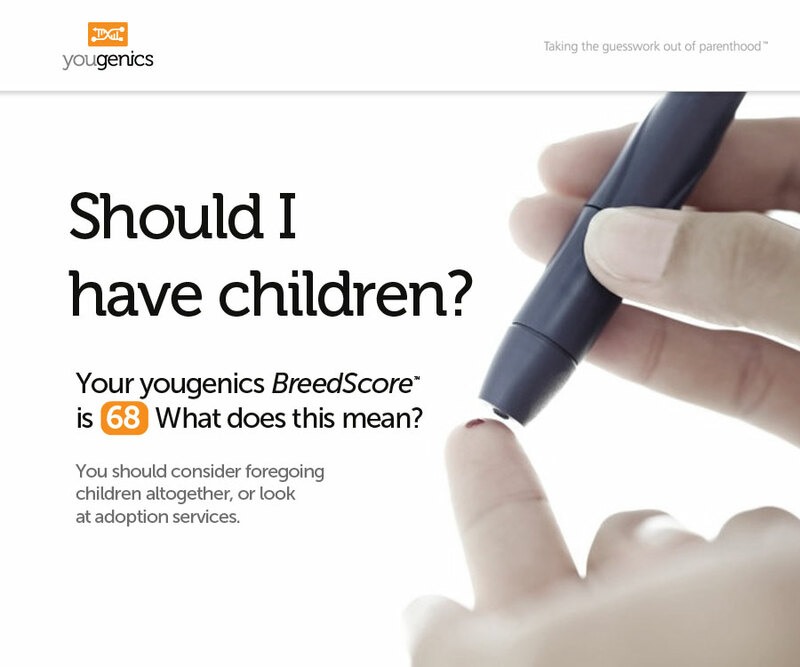 A faux UI screen that demonstrates the final “BreedScore” and explanation.